700G Osmanthus Honey and 3 lemons / 330G Osmanthus Honey and 1½ lemon. Rinse the lemon with water, scrub the skin with salt, wash and then dry it. 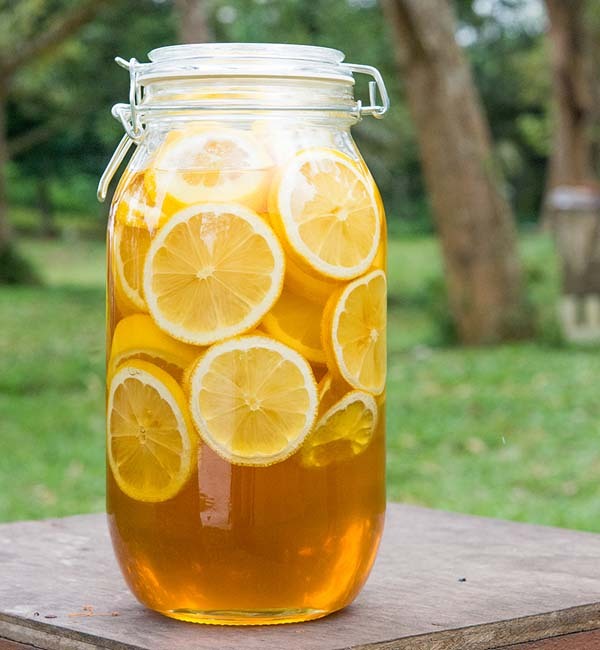 Slice the lemon and remove the seeds then put into glass bottle and pour the honey and seal up the bottle then keep into refrigerator for one week to two week after that can taste. Calcium, Whitening, Relief Constipation, Natural Cholesterol Burner and Prevent Kidney Stones. Peel the skin of the ginger, wash and then dry it. 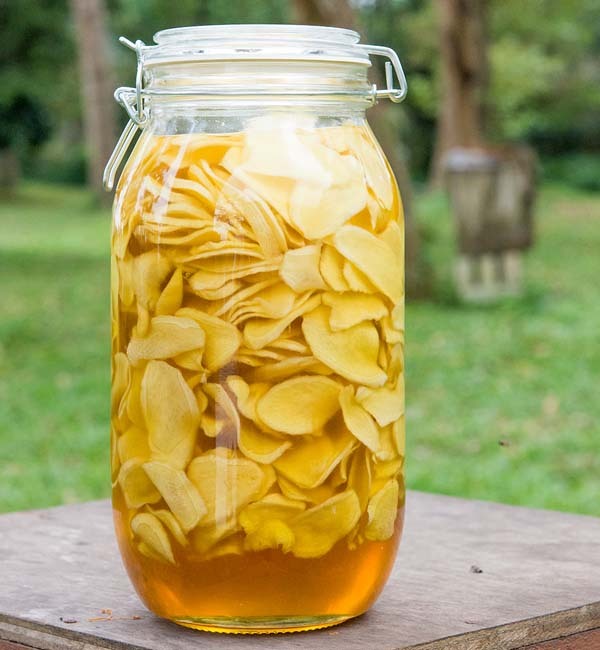 Slice the ginger, put into glass bottle and pour the honey and seal up the bottle then keep into refrigerator for one week to two week after that can taste. 700G Osmanthus Honey and 150G red dates / 330G Osmanthus Honey and 60G red dates. Wash the red dates and then dry it. 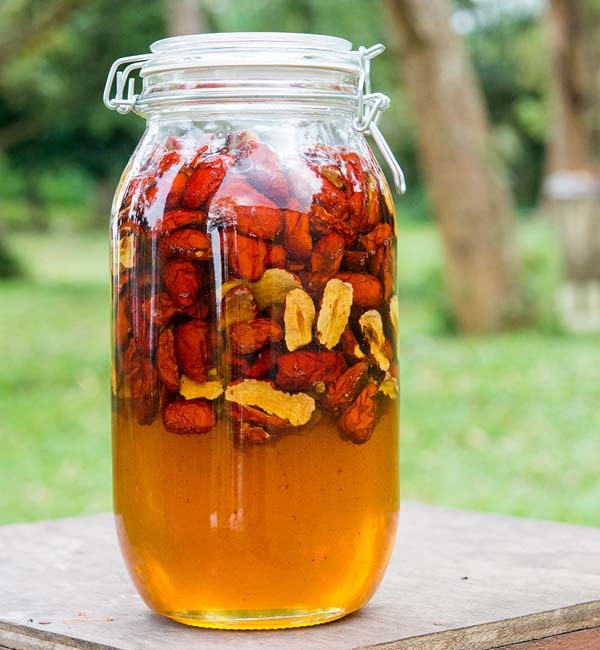 Cut into half the red dates and put into glass bottle, pour the honey and seal up the bottle then store the mixture in a cupboard and avoid exposure under sunlight within one week to two week after that can taste. Prevent allergy, protect liver & lung and relief insomnia. 700G Bitter Honey and 150G wolfberry / 330G Bitter Honey and 6OG wolfberry. Wash the wolfberry and then dry it. 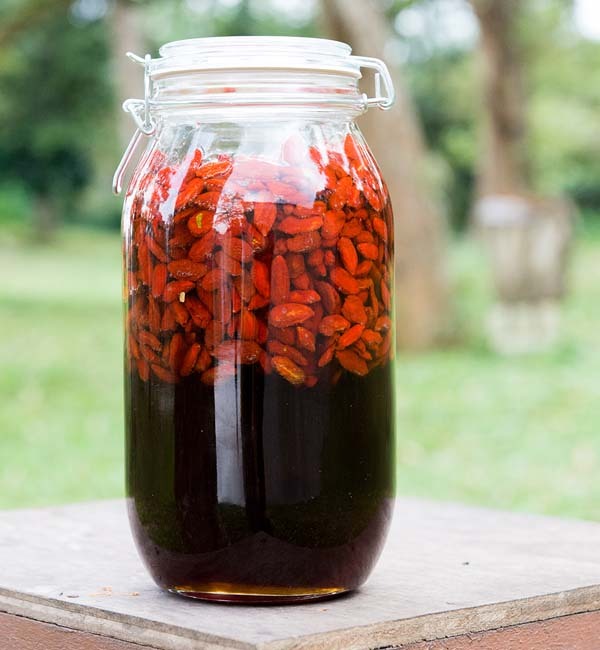 Put the wolfberry into glass bottle, pour the honey and seal up the bottle then store the mixture in a cupboard and avoid exposure under sunlight within one week to two week after that can taste. Liver Eyesight, Kidney Beneficial Fine and Antioxidation. 700G Bitter Honey and 250G black dates / 330G Bitter Honey and 100G black dates. Wash the black dates and then dry it. 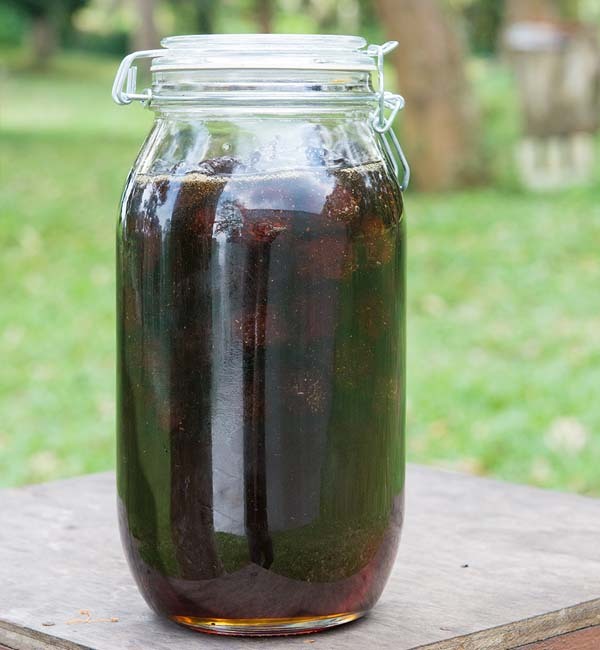 Cut into half the black dates and put into the glass bottle, pour the honey and seal up the bottle then store the mixture in a cupboard and avoid exposure under sunlight within one week to two week after that can taste. Prevent from Gall-stones, Osteoporosis and Improve Immune System. Keep knife and chopping board away from water, in order to prevent the ingredients becoming moldy. The water should not be hot. Avoid use the metal spoon, use wooden spoon or plastic spoon is the best.